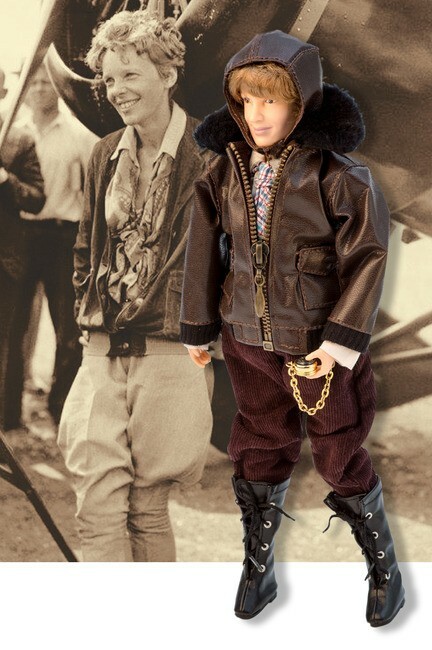 The first woman to fly solo across the Atlantic Ocean and the United States, Amelia Earhart is known for her tremendous achievements as a pilot. She was a pioneer of women's rights, believing that women could do anything they set their minds to. 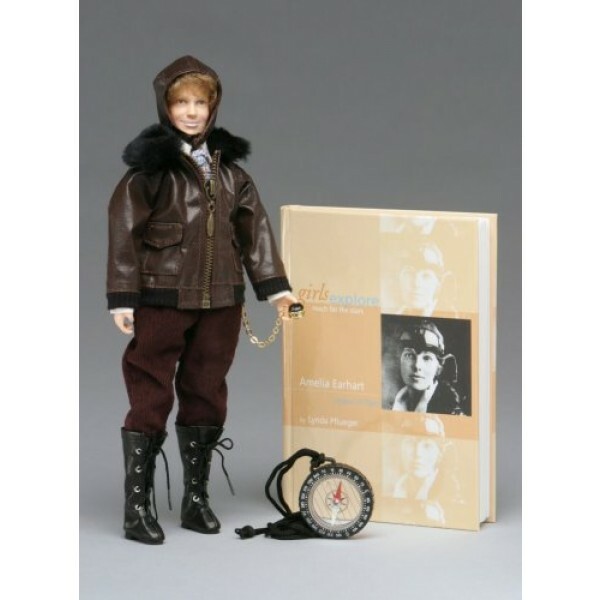 The Amelia Earhart doll is dressed in exquisite detail in her pilot's uniform, complete with a leather jacket and boots, pocket compass and flight helmet. The set that comes with the doll includes a working compass you can wear around your neck and her biography. The book is for an 8 and up reader and is 124 pages with black and white photos. 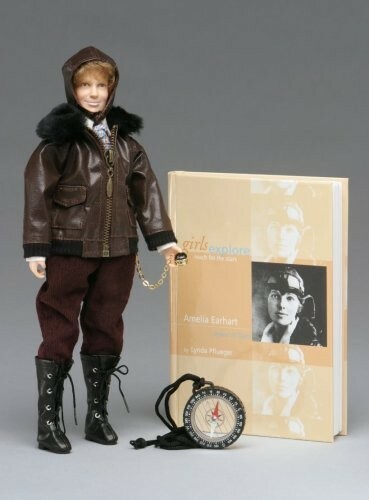 For Amelia Earhart-related books, films, and other resources, visit our Amelia Earhart Collection. For more girl-empowering dolls, visit A Mighty Girl's Doll / Action Figure section.